Stephen Vlasak is a Partner in the Alternative Investment Practice at Richey May. He develops new client relationships for the firm, working extensively to market the firm’s top-notch audit, tax, and advisory services to hedge, private equity and venture capital funds. Stephen enjoys his role as a connector in the business community. He is very involved with providing introductions and advice that help newly launched entities grow and thrive. Stephen also communicates the firm’s marketing platform at industry networking events, where he establishes new client relations and builds existing client loyalty throughout the Denver metropolitan area and around the United States. In addition to the business development role, Stephen provides audit services to clients. He has over 15 years of audit experience within the commercial and financial service industries. Stephen specializes in alternative investment clients, including domestic and offshore hedge funds, broker dealers, investment advisors, commodity pools, master-feeder structures, and funds of funds. Stephen advises his clients on initial organizational structure, audit processes, the management of operational matters and regulatory needs. In his current position at Richey May and his prior job at Rothstein Kass, Stephen has accumulated significant operational experience. 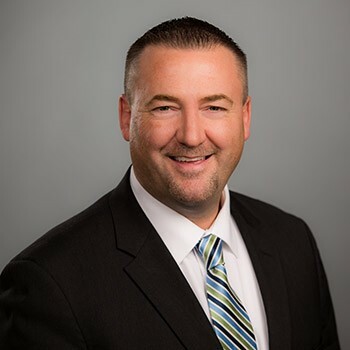 He has been heavily involved in the development and leadership of local office practices, including business development, recruiting, networking, budgeting, scheduling, forecasting, and human resource activities. Stephen was born and raised in Long Island, NY and remains and avid, and usually depressed, New York Jets fan. In his free time, Stephen enjoys traveling, hiking, and dining at good Italian restaurants, as well as spending as much time as possible with his wife Amanda and three children.